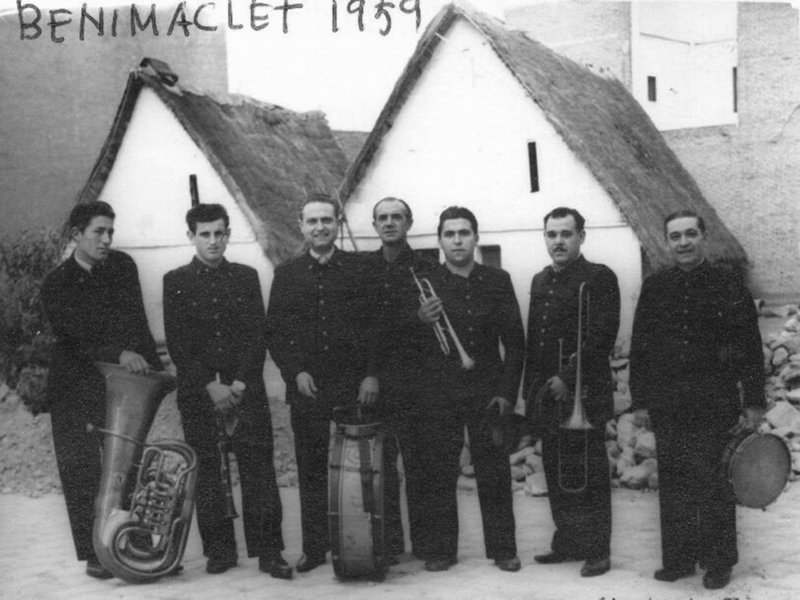 Once included in the city, Benimaclet began to grow outwards onto the farmland. It did so –among other things- by means of the construction of housing administered as cooperatives, creating an urban fabric that was a mixture of urban blocks and the open construction typical of modernity. 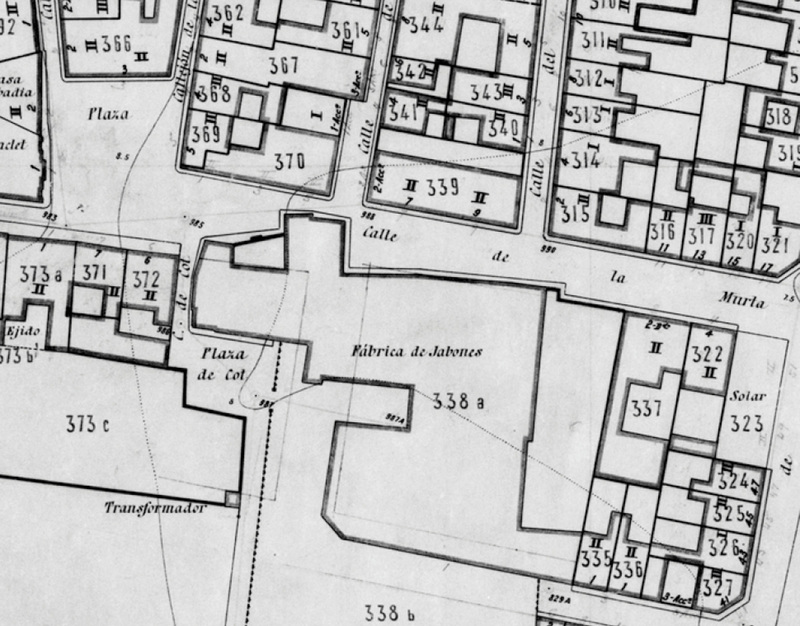 We start out from the square and walk along Murta Street to Mistral Street. 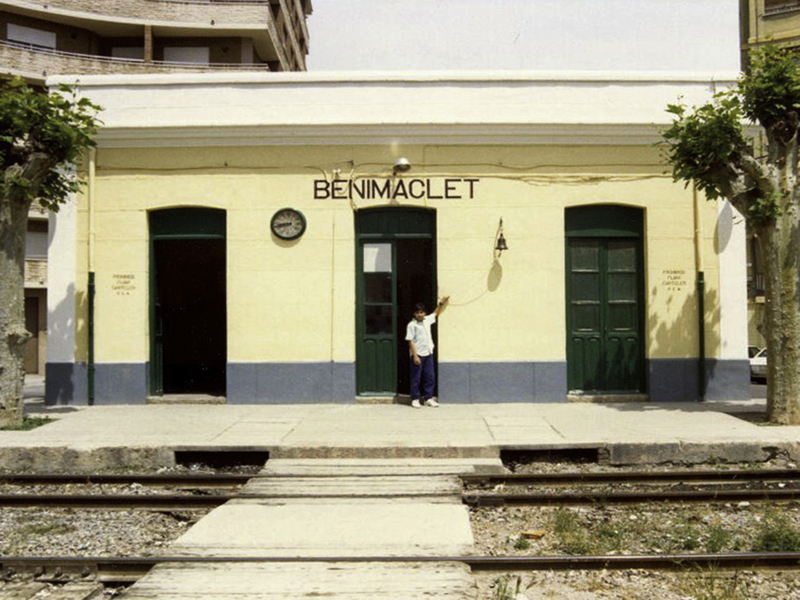 This is where the most modern part of Benimaclet begins. Ahead of us we discover the first block of noteworthy housing, the San Francisco de Asís cooperative, COOPERATIVA S. FCO. DE ASIS, constructed in the late 1950´s by the then municipal architect F. J. Goerlich. It is an example of urban rationality and prudence. We walk north on Mistral Street and turn towards Lliri Blau Street where we find another block of similar characteristics, the cooperative COOPERATIVA LA PROSPERIDAD, a work by the architect Fernando Bueso, also from the late 1950´s.At the end of Lliri Blau we come to the municipal school,COLEGIO MUNICIPAL. Leaving it to our right and turning right around the corner of the school, we walk along its northern sidewalk towards the urban gardens, HUERTOS URBANOS, and the spot where the farm ALQUERÍA DE PATACH stood until it disappeared. 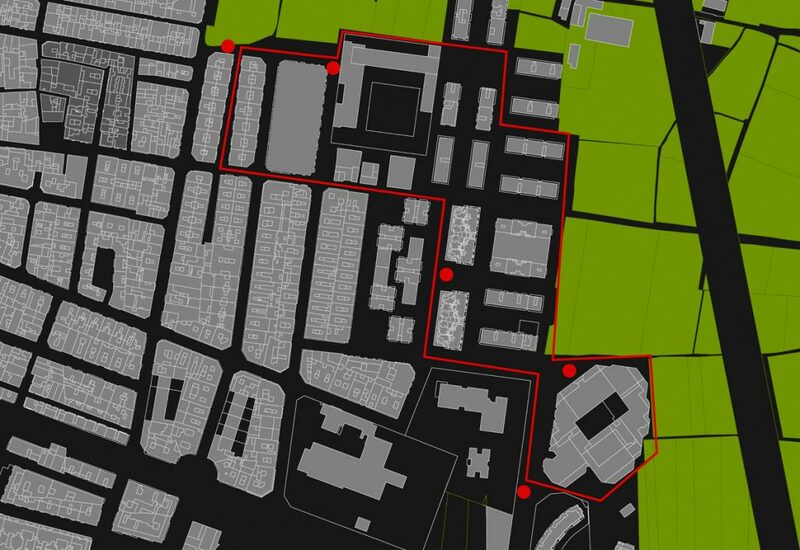 Now we come to an area that exemplifies the most typical MODERN CITY: open construction, freestanding housing units, commercial ground floors and large green spaces. Walking around these streets, we feel the difference in urban scale between the medieval streets and the 20th century city. Here we can observe some interesting examples of housing units, for example the ones at the square Plaza A. Sancho, built by the architects Esquembre, Soler and Galarza and their team and the one built by J. L. Piñón, both of them in the late 1970´s. We now walk along Poetas Anónimos Street as far as Murta Street. There, before us, we find a little known building, the COOPERATIVA BENLLIURE, a work by the architectural team CSPT. It consists of two blocks of very fragmented volumes that suggest a more social way of life through meeting spaces in the interior of the buildings for the enjoyment for its inhabitants. Across from it stands a markedly modern building: the group LAS 5 FUENTES (the 5 springs), consisting of 5 independent high rise buildings on top of a commercial base and surrounded by large gardens for use by the inhabitants. 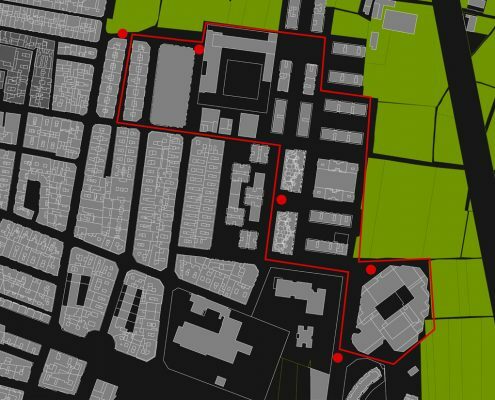 Walking along Real de Gandía Street we find on our left one of the most characteristic and controversial buildings of the neighbourhood or perhaps of all of the city of Valencia: La COOPERATIVA ESPAI VERT, by the same architects. This building created a revolution in every sense: aesthetic, functional and conceptual. Shared spaces, jogging tracks, hanging gardens, two and three floor dwellings, an artificial mountain in its midst. The idea was to invent a new way of life, social and in contact with nature, at the edge of the city, overlooking the farm land of Benimaclet. 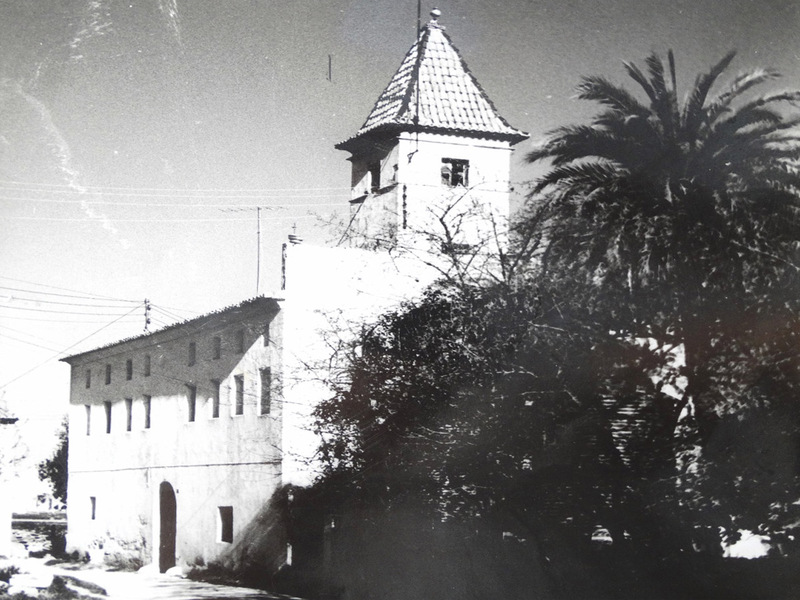 Across from it, on the other side of the street, is the school COLEGIO PADRE CATALÁ, consisting of two separate parts, the original school and on the other side of the school yard the enlargement by the architect Carlos Campos. 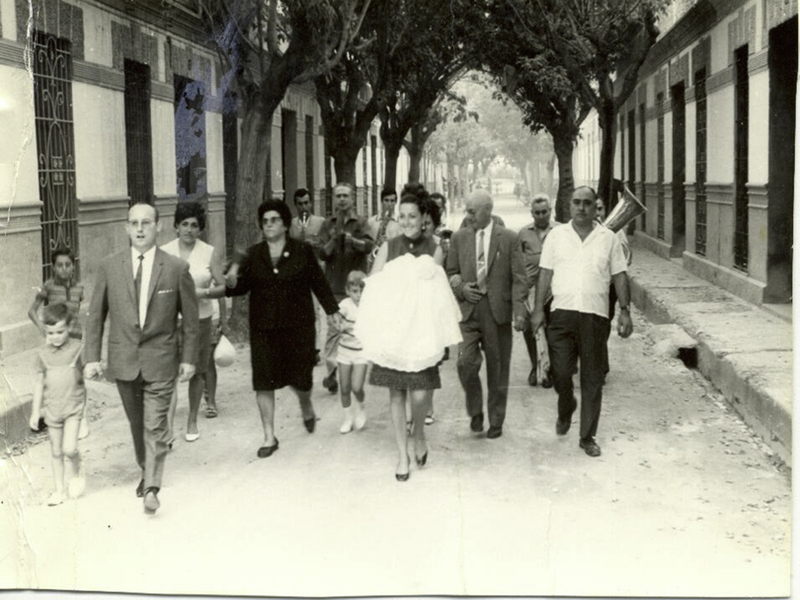 We turn back to go to Padre Alegre Street, on the back of the COTOLENGO DEL PADRE ALEGRE, walking west until the street changes its name to Enrique Navarro. The first street on our right is Hermanos Villalonga. There we can see two buildings of unsubsidized housing from the 1960´s, by the architect E. Herrero. 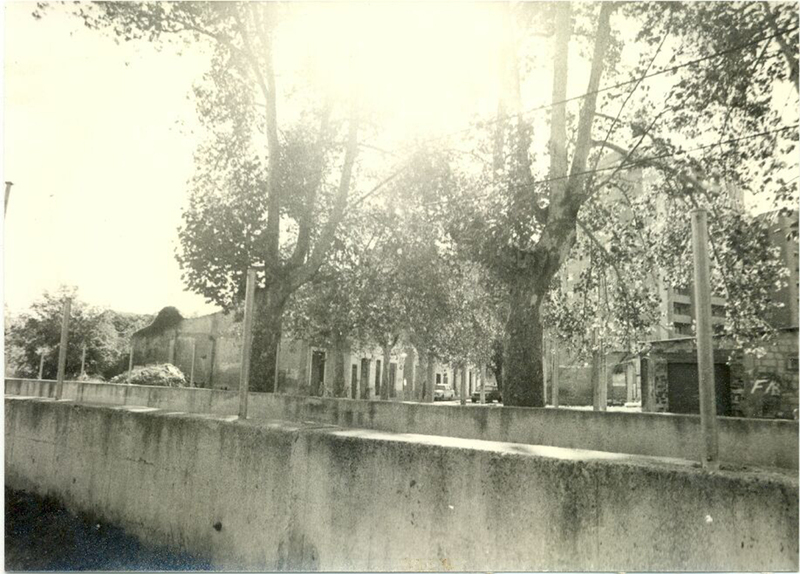 To the left we see another cooperative, COOPERATIVA DE CASAS BARATAS, also known as the houses of the railway employees, built by M. Peset in 1927. We continue to the corner of Enrique Navarro and Mistral, where the water tower, DEPOSITO DE AGUA., stands. Straight ahead we now have, to the right and the left, two blocks of housing built in the early 1960´s by the architects C. Borso and R. Contell in the style of Central European rationalist architecture, markedly expressive and formal. We turn right and walk north. 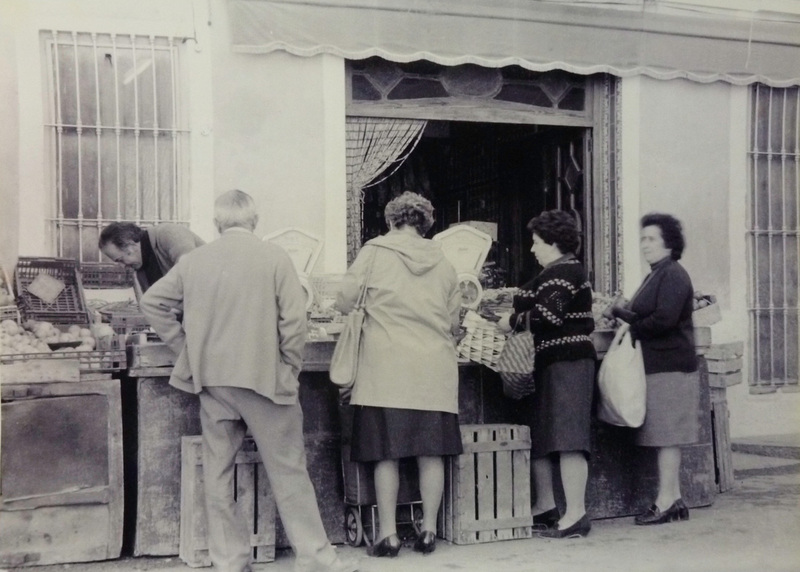 On this sidewalk we now discover the cooperative COOPERATIVA JOSE ANTONIO with a checkerboard set of balconies, built by Vte Aliena Goiti in the 1960´s. 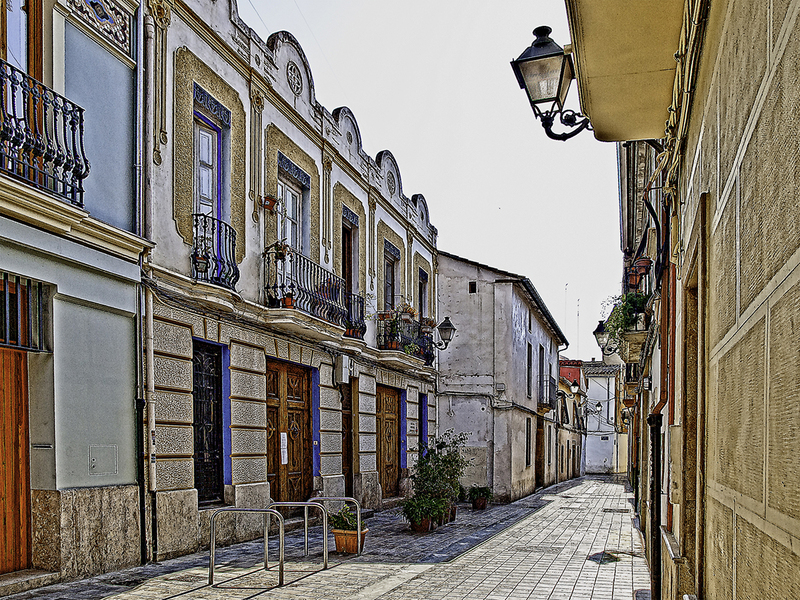 We continue along this street until we close the circle, or we can turn left on Murta Street, at the corner of the ceramics houses, CASAS DE TRENCADÍS, to get back to where we started out, the square. Thus we finish our route through this part of Benimaclet where the growth of the neighbourhood was designed with the help of various urban cooperatives and the realization of a modern architecture that has defined a very special urban atmosphere that contrasts with the historical centre of the neighbourhood.